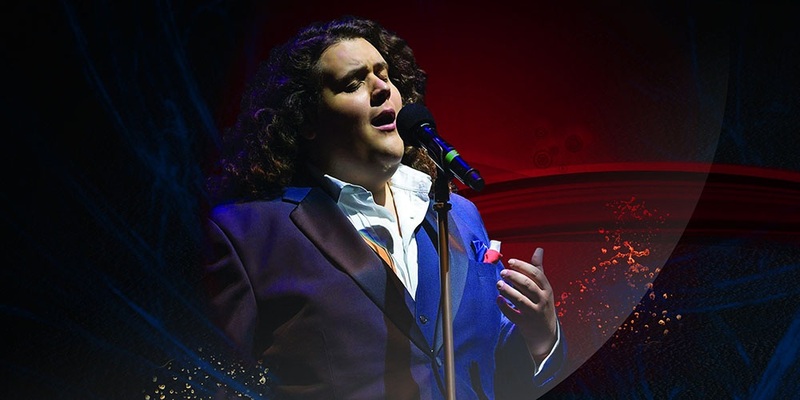 Crossover tenor and Britain’s Got Talent finalist Jonathan Antoine presents a multimedia concert event that will take his audience on a journey through his life: a personal story of overcoming obstacles through music. Along with a roster of talented guest artists, Antoine will perform a diverse program from Disney anthems to reimagined swing classics and far beyond, on the heels of his fourth album, Believe. From Puccini’s "Nessun Dorma" to Disney’s "Go the Distance," Antoine packs skill, story and drama into every song in this performance. Antoine’s career was kick-started at age 17 after he was discovered on Britain’s Got Talent. He produced two albums and toured across Europe with that momentum. He appeared as Placido Domingo’s guest in the finale concert of the month-long iTunes festival held at the Roundhouse in London, and shortly thereafter released his first solo album, Tenore, which reached #1 on the classical music chart. He debuted in the United States at the 20th anniversary of Muhammad Ali’s Celebrity Fight Night and in Florida where he sang The Beatles' "Hey Jude" with Sting, Ne-Yo, Adam Levine and Tessanne Chin. His fourth album, Believe, topped the charts in 2016. Don’t miss this opportunity to join Antoine on this beautiful and highly personal journey, presented with a dynamic mix of video and animation. Presented by Helga Schmidt, Attila Glatz Concert Productions and Elev8 Global Entertainment. For more information, call Ticketking at 1-800-461-3333 or visit www.ticketking.com, or buy tickets at the Elgin and Winter Garden Theatre Centre box office (Tuesday to Saturday, 11 a.m. to 5 p.m., or until show time on performance days; closed Sunday and Monday).